1. 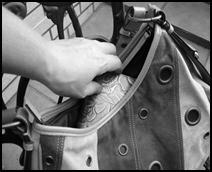 How is pick-pocketing defined? After listening to the superintendent’s s information about pick-pocketing in Hong Kong, what advice would you give to people to help them avoid being pick-pocketed?